Home Tags Articles tagged with "fatal accident"
The Gila River Police Department released the identities of three people killed in a collision on State Route 347. Juanna Molina, 24, Ray Molina, 33, and 18-year-old Dominic Dixon were pronounced dead at the scene of the accident after their pickup truck lost control on SR 347 on Nov. 29. A fourth passenger was transported to a local hospital with non-life threatening injuries, according to a GRP press release. The preliminary police investigation revealed the truck was traveling south on SR 347 about a mile north of Casa Blanca Road at 3:15 p.m. when the vehicle lost control and drove into the median. “While in the median, the vehicle rolled once and rotated counterclockwise, and the vehicle continued traveling into the northbound lane of traffic with the rear of the vehicle leading,” according to the statement. A northbound semi-truck was unable to avoid hitting the truck as a result. Three agencies assisted the scene as traffic clogged the state route into the early morning hours. Arizona Department of Public Safety and Arizona Department of Transportation assisted with road closures and GRP Traffic Unit assumed the investigation. The statement said it is unclear whether impairment or distracted driving were contributors to the accident. DPS previously reported the big rig driver received no injuries. Friends and family are organizing a memorial for two teens whose lives were tragically taken recently after a two-car collision in Thunderbird Farms. The public is invited to a memorial Nov. 11 at Sequoia Pathway Academy, 19265 N Porter Road, hosted by Faith Baptist Church. The time is tentatively set for 3 p.m.
Seventeen-year-old Michael and his brother Matthew, 16, died due to injuries sustained in the rollover accident after police say another vehicle ran a stop sign at the Papago and Ralston roads intersection on Oct. 29. 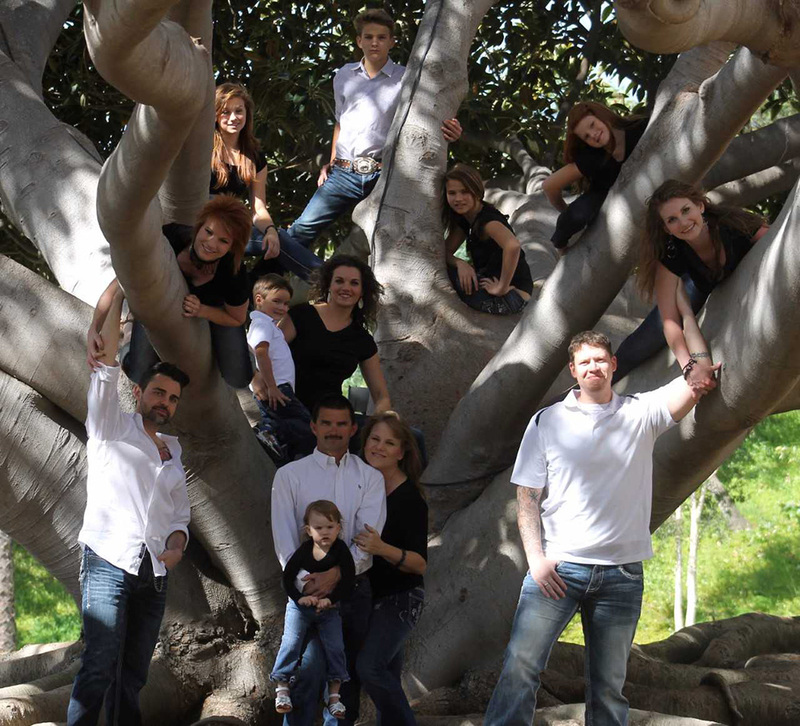 The Voss family of six was heading home after church Sunday afternoon. Nathan Voss, father of Matthew and Michael, is a deacon there. “He (Nathan) wrote a prayer this morning and he posted it to the public and everyone has to read it. I’ve never wept like that in my life. It’s a tough read, let me tell you,” Wasilenski said. Nathan Voss published a prayer Nov. 1 on Facebook, days after the accident, expressing grief and faith in God. 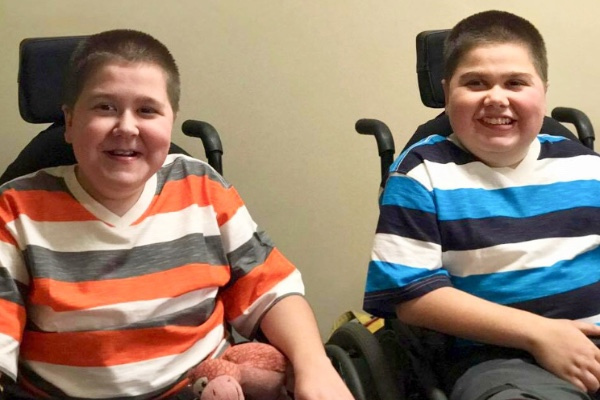 The funeral for Matthew and Michael, limited to family and close friends only, will be held in the Valley Nov. 11 before the public memorial at Faith Baptist, which meets at Sequoia Pathway. Family friend Mark Bruto da Costa organized an online fundraiser for the Voss family. The goal amount listed on the campaign is $200,000. Walinski said Nathan’s daughter, Leighann, had surgery to repair a broken arm. “I think everyone at this point has been released from the hospital. The baby is OK and his wife are OK,” Wasilenski said. Shortly after news spread of the Matthew and Michael’s deaths, the community took to social media to offer condolences and support. A second teenager has died after a vehicular accident in Thunderbird Farms Sunday afternoon, Pinal County Sherriff’s Office said Monday morning. PCSO spokesperson Navideh Forghani said a 16-year-old boy died at the hospital Oct. 30 after a 17-year-old passenger died at the hospital the night before. Both were in wheelchairs at the time of the accident. Posts on social media said the teens were brothers who were heading home in a minivan with their family from church before the accident Sunday afternoon. The teens’ father, Nathan Voss, asked for prayers from friends online. “As a father losing his only two sons, this is not easy. And the battles have only begun. I praise the Lord that He spared my wife, the baby in her womb, our teenage daughter, and our precious baby, Lynndsay, as many of you have come to know through previous trials,” Voss said in a post on Facebook. According to a social media post by Faith Baptist Church in Maricopa, the brothers were Michael and Matthew. PCSO said six people were in the minivan Sunday around 2:29 p.m. on Papago Road when a driver in a 2018 black Acura ran the stop sign at the Papago intersection at Ralston Road. As previously reported, the minivan hit the Acura and rolled, ejecting the 17-year-old passenger who later died at the hospital Oct. 29. Five of the six passengers were transported to the hospital with varying injuries. PCSO was still investigating Monday morning and could not specify the pending charges against the driver of the Acura. It was a one-vehicle crash that took the lives of two teenagers Christmas night nearly three years ago. 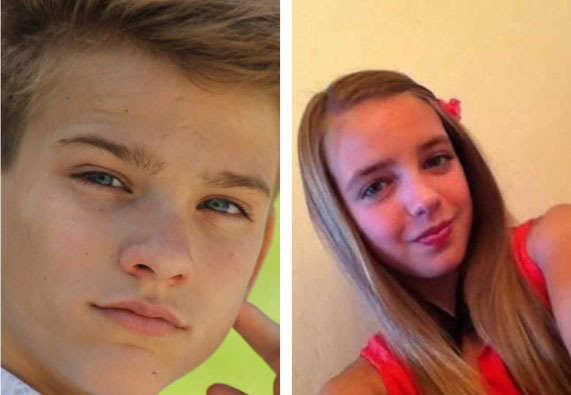 Josiah Abbott, 15-years-old, and Morgan Martin, 14, were passengers inside a friend’s truck that rolled on Papago Road in Thunderbird Farms. In early May, the driver of the vehicle pleaded guilty to two counts of negligent homicide. 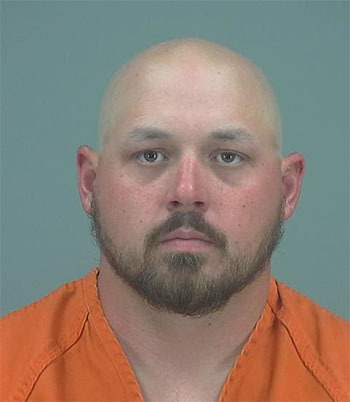 William Gay, 25, was sentenced to 2.5 years in the Department of Corrections for each count when he appeared in a Pinal County Superior courtroom on June 12. Josiah’s older sister, Shell Abbott, said no amount of prison time would heal the pain caused by her brother’s death. Abbott said Josiah was charismatic and enjoyed making the women and girls in his life know they matter. “Josiah had a way about making women feel special, and you could be 92 or you could be 3,” she said. 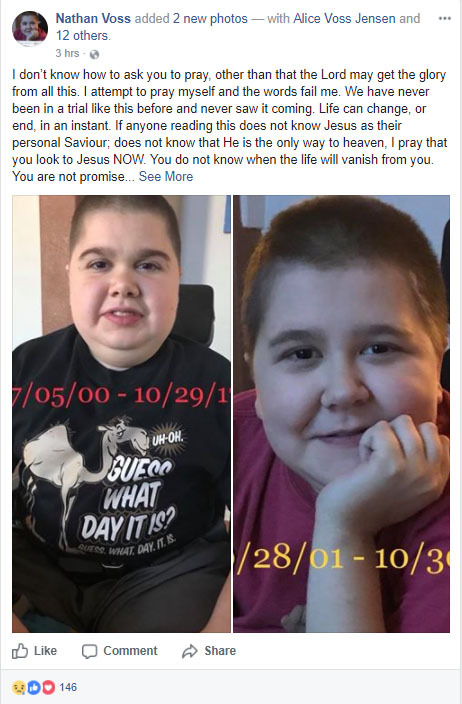 The loss of Josiah and the emotional support he provided, she said, is comparable to the sensation of a phantom limb that has been amputated. “You know it doesn’t exist, but in your brain it really does. You can still move it, but you can’t put weight on it because it’s not there,” Shell said. “I think that’s the hardest part because Bubba will be able to get back out, and for him he’s not missing a limb,” Shell said. Gay was a roommate in Abbott’s home at the time of Josiah and Morgan’s death. Abbott said she felt Gay did not take responsibility for the families’ losses. Additionally, she said Gay did not apologize to her. After a while, because of Gay’s behavior, she told him he needed to leave. Gay taught Josiah about cars, Abbott said, and because Gay had a driver’s license and Josiah did not, the friends drove around together frequently. Shell Abbott said her mother, Ranelle Abbott, requested in court that Gay receive counseling. “I think that’s the only reason why him being in prison is actually a good thing, … the fact that it will give him a lot of time to think,” Shell Abbott said. Even as a young child, Josiah was bright and had entrepreneurial tendencies, she said. At 4 years old, he began a small frog farm. In buckets, he placed tadpoles at varying points in development. By age 9, Josiah switched from frogs to chickens, and he made business cards to promote the eggs he sold. Josiah would be 18-years-old now, and Shell Abbott said it saddens her to think of what he could have accomplished. A 61-year-old man has died after a hard landing at Skydive Phoenix west of Maricopa. According to Pinal County Sheriff’s Office, a 911 call came in at 4:54 p.m. Sunday from the Skydive Phoenix site on Dasher Drive. The call reported a man with life-threatening injuries after a hard landing near the drop zone. The man was taken to Chandler Regional Medical Center, where he was later pronounced deceased. Skydive Phoenix previously had a fatal accident in November that killed a Mesa woman and seriously injured the instructor during a tandem jump. An early-morning crash Monday in Maricopa has resulted in the death of a local man. John Christopher Glen Purry, 36, died after the motorcycle he was riding reportedly collided with the back of a four-door sedan at the intersection of John Wayne Parkway and Honeycutt Road. The collision occurred around 3 a.m., and the area was closed to traffic until about 5:30 a.m. According to the Maricopa Fire Department, Purry was not wearing a helmet. Two people were killed after a two-vehicle collision on Amarillo Valley Road south of Maricopa Tuesday night. According to Pinal County Sheriff’s Office spokesman Mark Clark, Elizabeth Cruz, 57, and Francisco Rendon, 63, died at the scene. The incident happened just before 7 p.m. near the intersection with Teel Road. Clark said Cruz and Rendon were traveling north in a Hyundai SUV when their vehicle collided with another northbound vehicle, a pickup truck, and then veered off of Amarillo Valley Road into a drainage canal. Cruz and Rendon were ejected from the SUV. Cruz was identified from her driver’s license and was the registered owner of the SUV. Clark said the two were not married but had been together for more than 30 years and had children in common. It is not known which of the deceased was driving the SUV. No criminal charges are expected, as it is believed to be accidental, with fault for the collision with the deceased. There were no reported injuries to the other driver involved. The teen driver of a pickup was killed this morning after colliding with a cattle truck on State Route 347 at Farrell Road. The accident occurred around 7 a.m. The victim is 16 years old but is not yet officially identified. Both vehicles were heavily damaged and ended up on their sides in the northbound lanes. Traffic was stopped in both directions as the Ak-Chin Police Department detoured drivers through the Ak-Chin Indian Community. 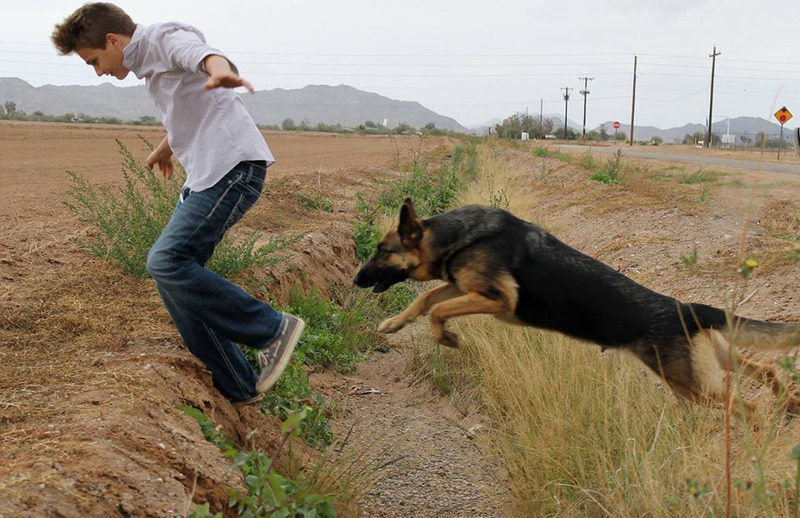 Maricopa Police Department picked up the investigation of the scene. MPD spokesman Ricky Alvarado said the scene is being treated as a crime scene because a fatality is involved. The driver of the cattle truck was on his feet and his injuries were non-life-threatening, he said. A detective is at the Chandler hospital waiting to talk to him about what transpired. Early indications are the white pickup was entering the intersection from Farrell and the cattle truck was traveling north on SR 347 when the collision occurred. There was conflicting information about the intended direction of the pickup truck. Alvarado said SR 347 will remain closed in both directions because the vehicles were in the northbound lanes and the cab of the cattle truck came to rest in the southbound lanes. “We’re working to get Farrell open in both directions as soon as possible,” he said. Franklin said the cattle truck was full of cows. Alvarado said the cattle company constructed a makeshift corral near the road for the surviving cattle and is assessing the condition of the cows to determine which ones can be saved.